L'Arbre de la Connaissance is a perfume by Jovoy for women and men and was released in 2011. The scent is fruity-fresh. It is still in production. Opens with an sparkly fig accord, as if the accord was pierced by a hefty dose of effervescent aldehydes. This opening is a welcome change from the true-to-life, but somewhat flat figs like Phylosikos or Jardins de Kerylos. Once the top notes have faded I see fig leaf and fig fruit blended together over a base of sheer sandalwood. The fig leaf/fig fruit/fig tree accord is powdery-green, milky-woodsy and very well-balanced. Sadly the fragrance loses steam rather fast and once we get to the heart notes, the scent stays very close to the skin. The dry-down is very green and somewhat artificial. 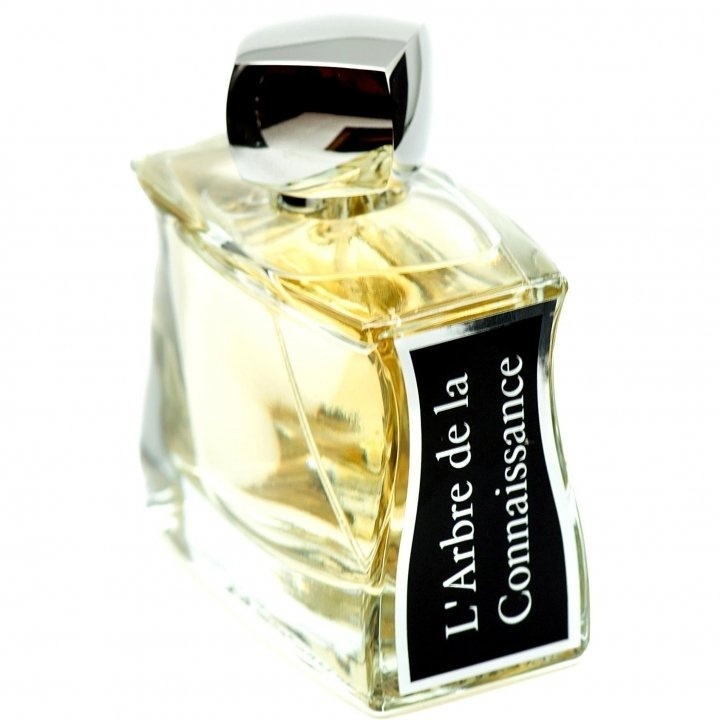 L'Arbre de la Connaissance opens with a coconut-like aromatic fig tree note with sharp almost aldehyde-like peach fruit and green accords in support. As the fragrance enters its early heart phase the starring fig tree note remains, though its coconut-like aspects now slightly less evident as the sharp peach fruit accord increases in intensity until it becomes co-star to the fig tree with slightly sweet green fig fruit support late. During the late dry-down the coconut-like aromatic fig tree note finally recedes as the now slightly milky less aromatic sweet fig fruit takes over as co-star teaming with the still present but slightly muted peach. Projection is very good, as is longevity at 8-10 hours on skin. L'Arbre de la Connaissance roughly translates to "The Tree of Knowledge" and while subjected to tolerating my time with this composition I have learned quite a lot. The main thing I have learned is I dislike this stuff immensely, and the aromatic fig tree and sharp green peach do not work well together. Pretty much as soon as I applied the perfume to my wrist I knew things were going downhill fast, and unfortunately they only accelerated as time passed. The only pause to the torture was during the late dry-down as the fig tree finally dissipated, allowing the fig *fruit* to take a more prominent role and mercifully soften the composition late. The bottom line is L'Arbre de la Connaissance represents the kind of scrub-worthy composition that I wish my knowledge of could be erased, earning a "poor" 2 star out of 5 rating and an avoid recommendation except to staunch fig tree lovers. Write the first Review for L'Arbre de la Connaissance!